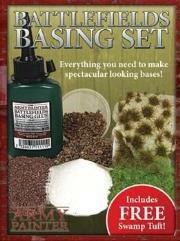 The Battlefields Basing Set offers great value, packed full of the best basing materials in the industry. It contains everything needed to personalize your bases and really bring them to life. The set does not only include all the essentials to making bases, but also a FREE slice of Swamp Tuft to add the finishing touch.